They're the world's most trafficked animal — and he had hundreds of them. After receiving calls from neighbors who were concerned about the five large freezers on a man's property in Indonesia, police investigated. What they discovered on August 15 was shocking. Inside the freezers were 657 critically endangered pangolins, a shy nocturnal creature who curls up into a ball when frightened. But the wild animal's sweet, shy demeanor means nothing to the people who want pangolins for their meat and scales. As a food, pangolin is considered a delicacy in some areas, and their scales are rumored to be medicinal in the Far East. Pangolin leather is even used to make boots. 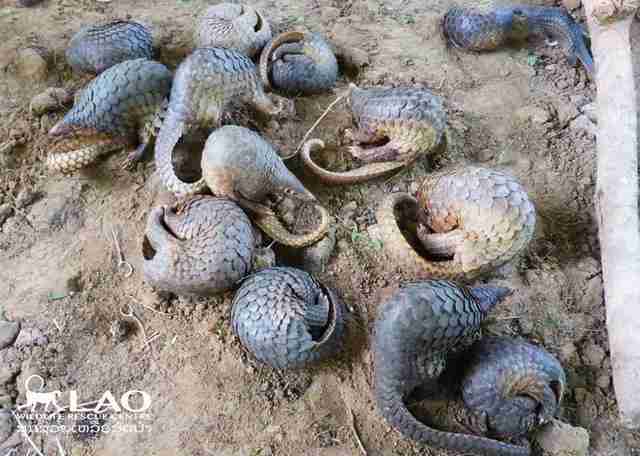 Due to this ongoing demand, pangolins are now the world's most illegally trafficked animal, fetching a thousand dollars or more per animal on the black market. The man in Indonesia who was holding the 657 frozen pangolins was taken into custody. He could face five years in prison and a fine. When caught with the hundreds of dead pangolins, he insisted that they weren't his; he was simply storing them for a friend. Learn how you can help pangolins here.